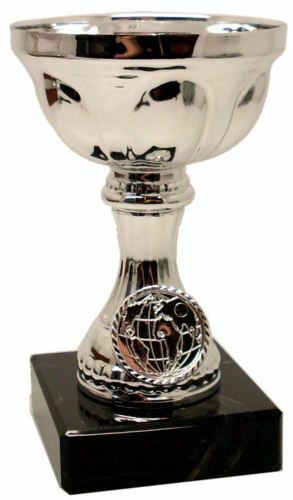 A classic trophy cup mounted on a black marble base and is available in silver or gold coloured. 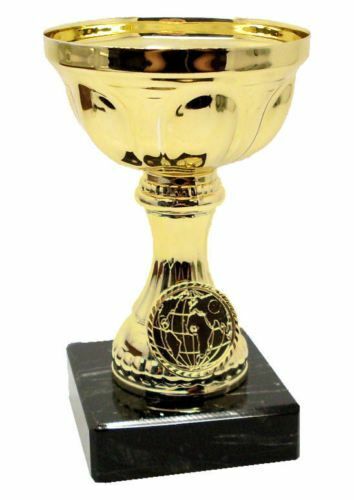 This cup isn't limited to a certain sport. we can personalise a plaque with your own wording which will then be attached to the base so it can be used for any event or achievement. Engraving is placed on a plaque on the marble base, engraving can be approx 3 Lines of 30 characters per line, including spaces.